The simplehuman quick grip napkin holder features a weighted tension arm that gently holds down the napkins, so it's easy to pull out just one at a time. Perfect for table settings, buffets, picnics or a busy kitchen countertop. 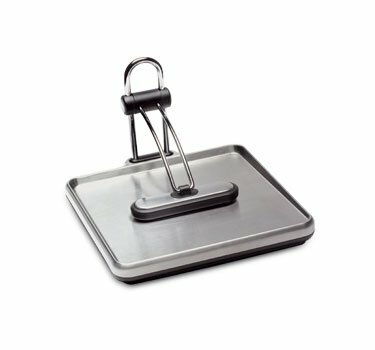 The sturdy, stainless steel base cradles your napkins, keeping them neat and tidy.